Are you worried that your car might break down anywhere? There is a very easy solution to your tension. With the roadside assistance programs, you can ride a carefree drive, while driving at midnight or while driving alone or with family. The major benefits of these services are that on just your call, the service providers reach at the point wherever you are stuck. 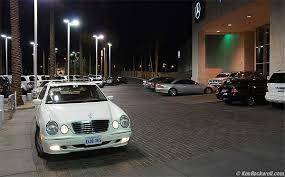 The services providers are mainly include car manufacturers and private insurance companies. They assist you during the crisis hour when your car breakdowns due to any mechanical failure. Major coverage is offered for onsite mechanical repairs, battery failure or heating of battery, flat tire or if you are stuck due to lockout keys or running out of fuel, gasoline or water. Just as car manufacturers are coming up with the latest models and makes, so as they also introduce various attractive assistance packages. Some of the benefits of the latest packages include unlimited distance towing services, travel and medical assistance, hotel accommodation and paying of bills to the service centre where the vehicle has been towed. The major benefits of such services are that they are available in all the 365 days of a year.